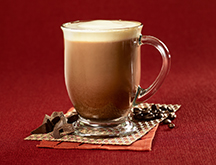 Our dark chocolate powder boldly flirts with coffee and skimmed milk for one decadent romance. 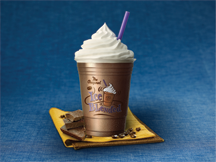 Topped with fresh whipped cream, you're sure to fall in love with this chocolately dream. 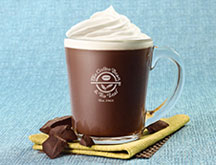 Our exclusive recipe consisting of Special Dutch chocolate® powder or French Deluxe™ vanilla powder , freshly brewed coffee, skimmed milk, yummy whipped cream and chocolate covered espresso bean. 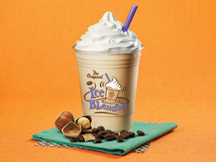 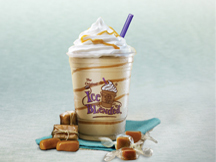 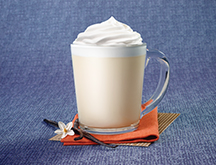 Rich caramel sweet, creamy vanilla, iced and a velvetly whipped cream topping. 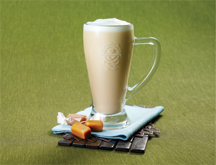 Welcome to indulgence! 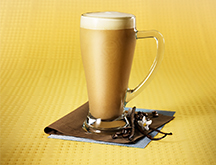 This coffee-free delight excites with its zingy citrus vanilla taste. 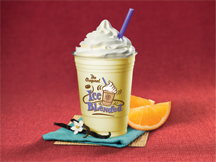 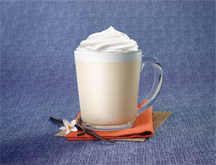 Pairing orange juice with our exclusive French Deluxe™ vanilla powder. 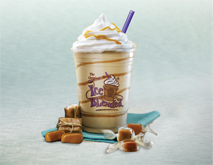 Refreshing & delicious. 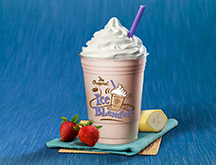 Berry Juice with vanilla. 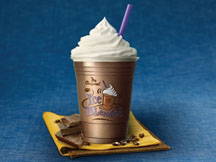 Kid Friendly! 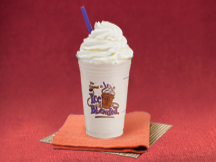 Fruity strawberry banana juice blended with our French Deluxe™ vanilla powder and ice then topped with whipped cream. 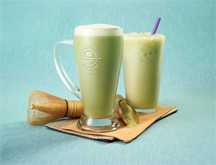 Fine matcha and vanilla powder and blend it with ice and milk to create a truly magical experience. 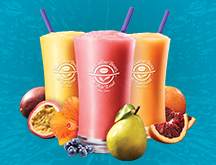 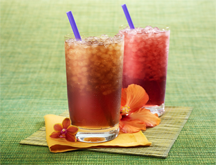 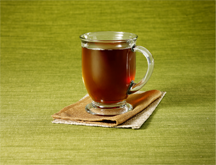 A refreshing blend of premium iced teas and delicious fruit flavors. 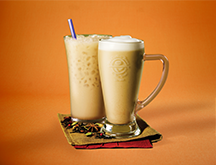 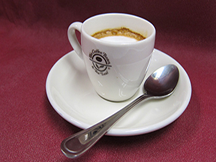 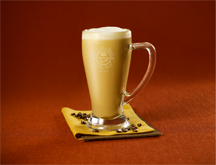 Sweet caramel and fresh espresso topped with foamed milk. 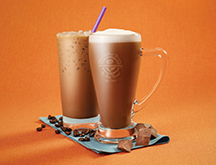 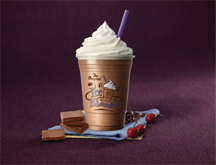 Rich, dark and totally decandent, the Double Chocolate Latte does double chocolate duty with dark chocolate powder, bold espresso and creamy milk. 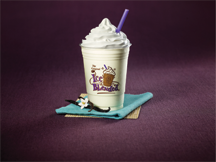 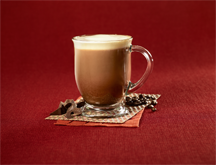 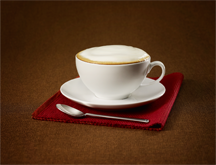 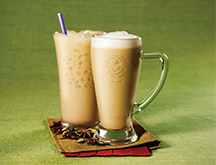 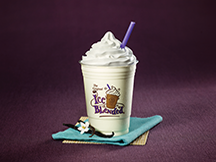 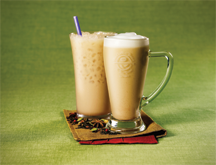 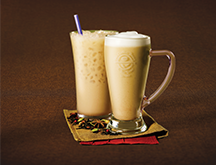 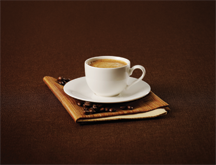 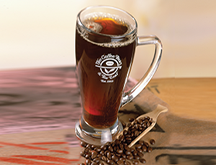 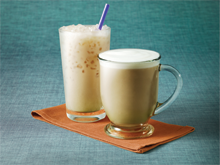 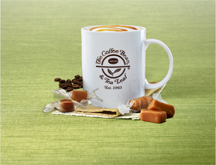 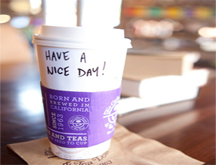 Blend of black teas and add French Deluxe™ vanilla powder, skimmed milk and a touch of foam. 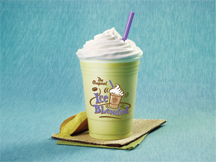 Soothing matcha blend with skimmed milk, vanilla infusion and topped with foam.